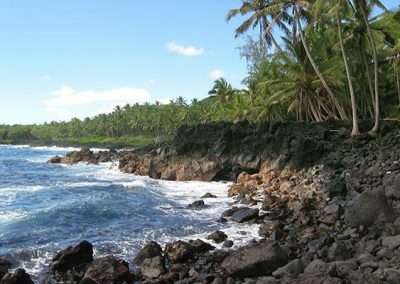 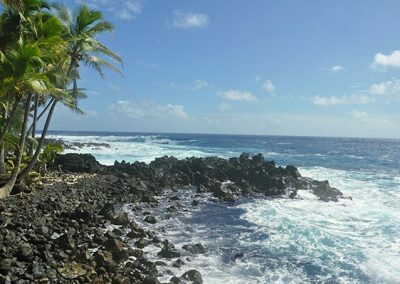 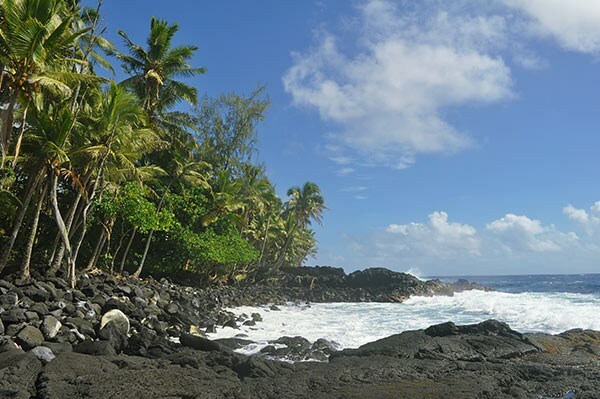 FANTASTIC PRICE on this DRASTICALLY REDUCED amazing OLD HAWAII OCEAN FRONT property on the stunning East Hawaii coastline. 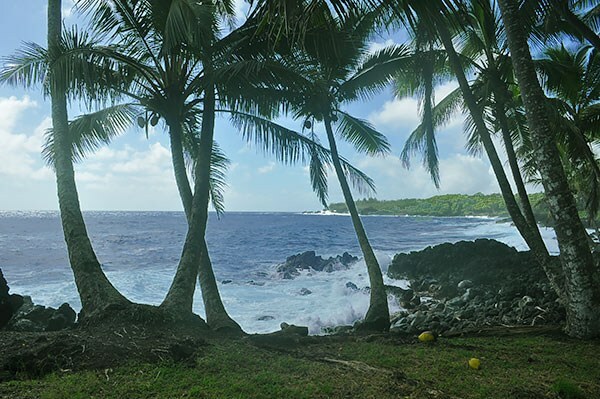 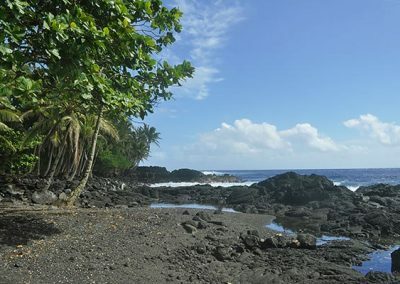 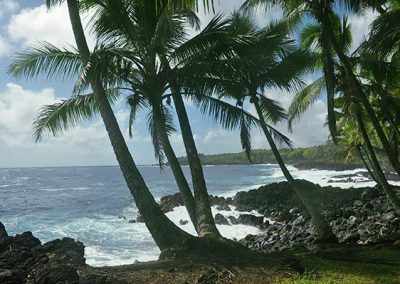 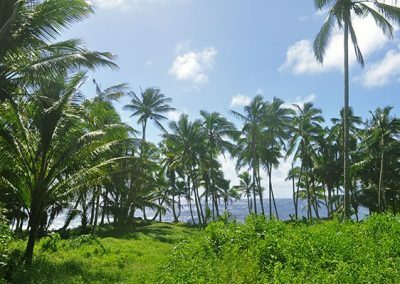 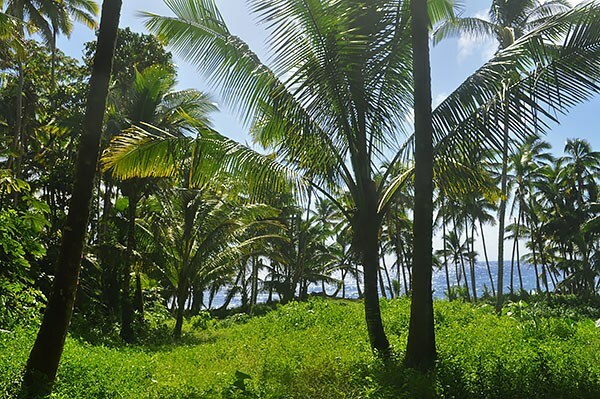 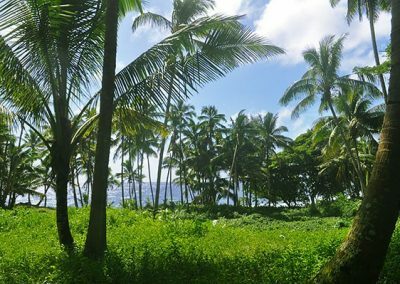 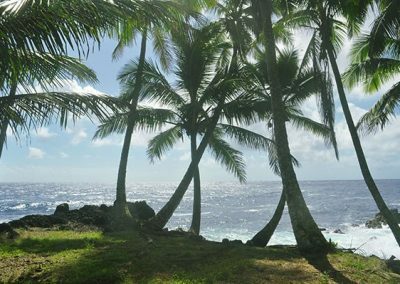 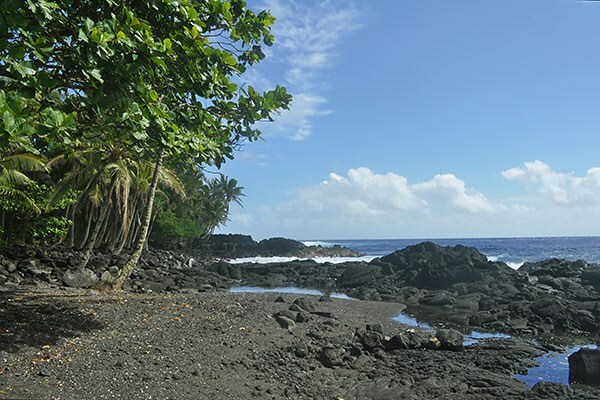 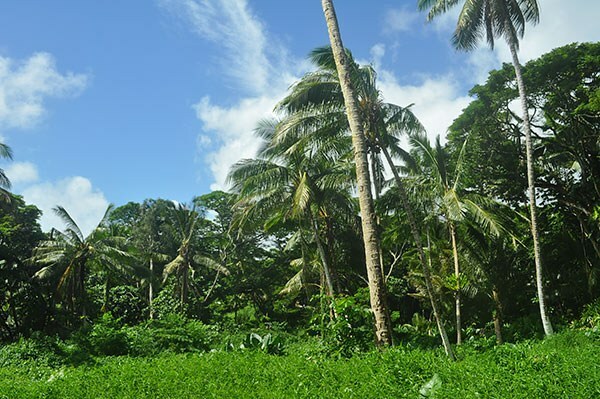 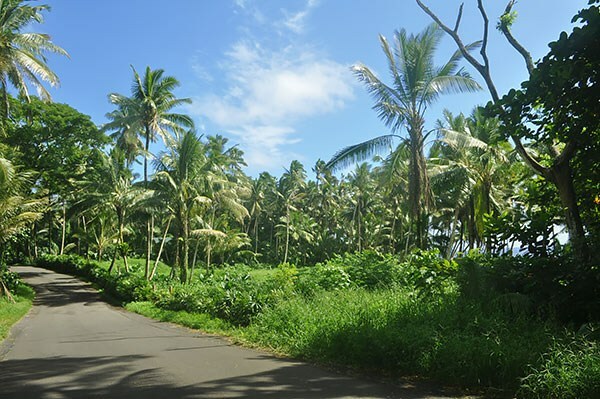 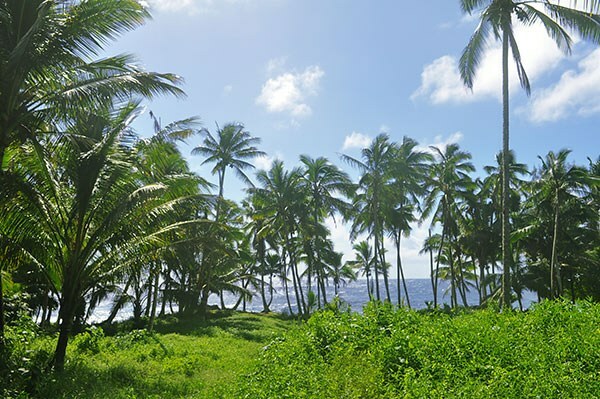 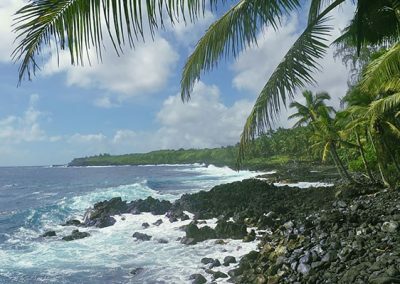 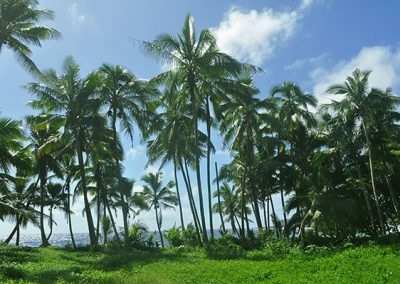 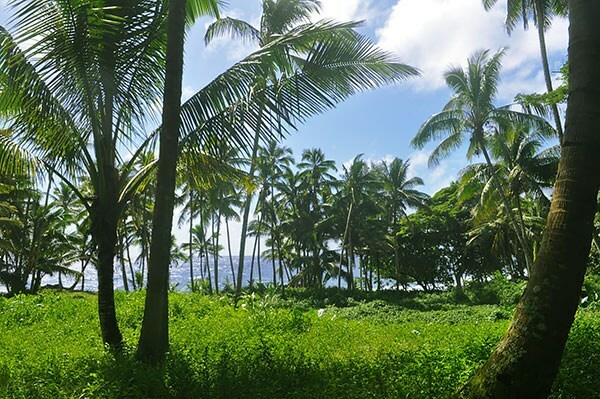 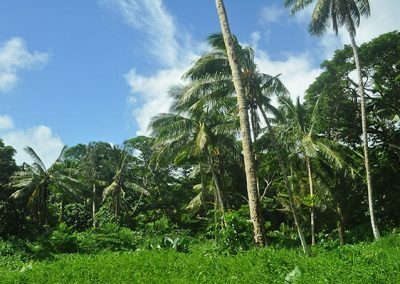 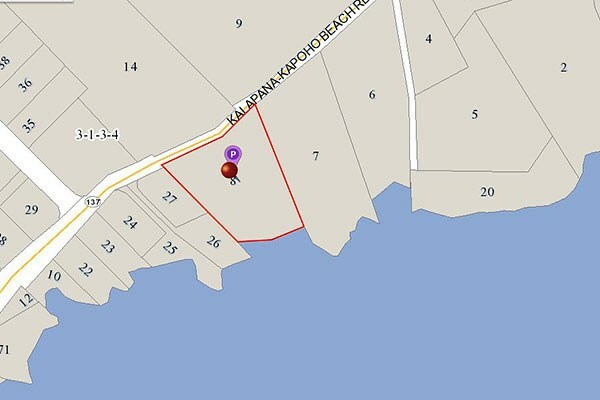 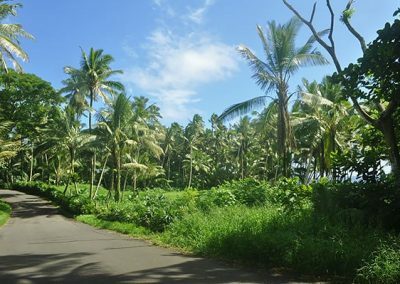 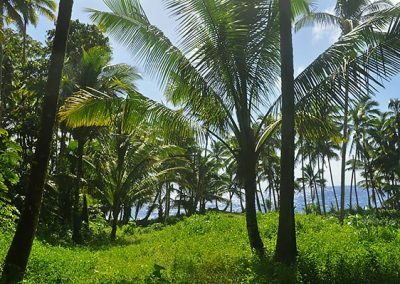 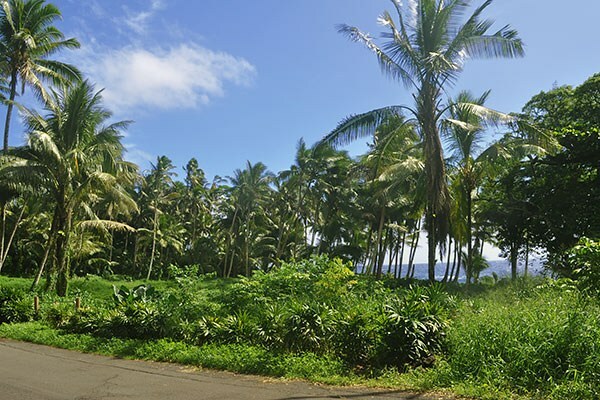 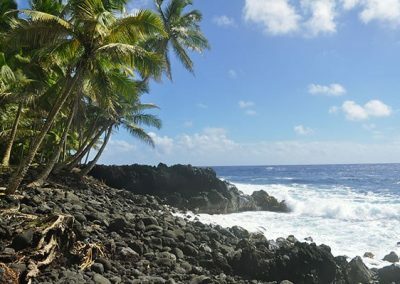 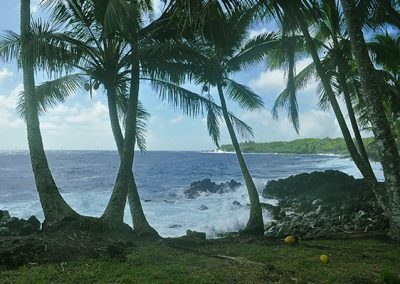 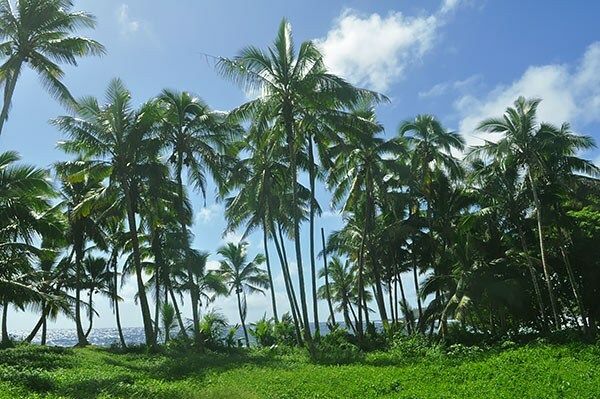 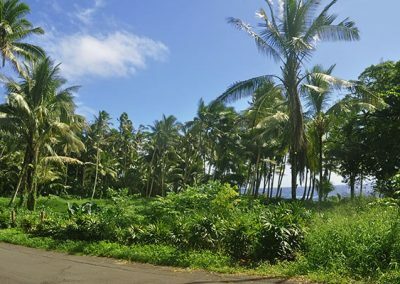 This nearly 1 full acre of tropical Hawaiian property is located in the beautiful coastal community of Kamaili / Opihikao where you will find one of the best micro climates on the Big Island. 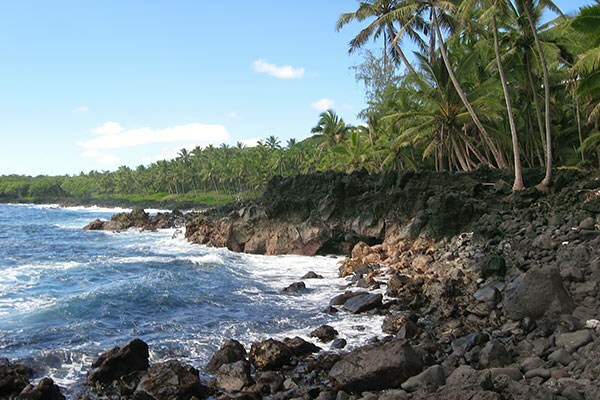 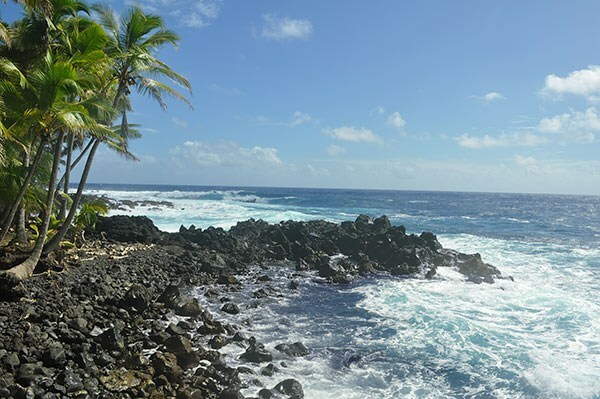 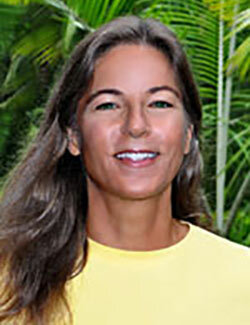 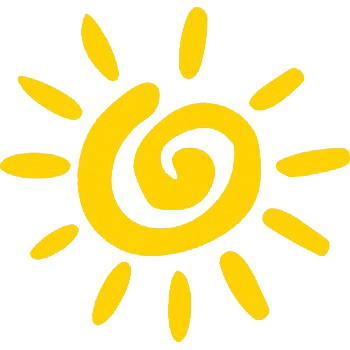 Here you will experience plenty of sun, enough rain and the incredible trade winds East Hawaii is famous for. 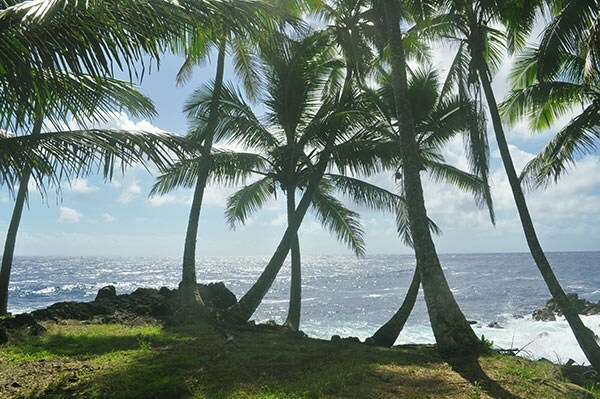 The OCEAN VIEWS from this property are breathtaking. 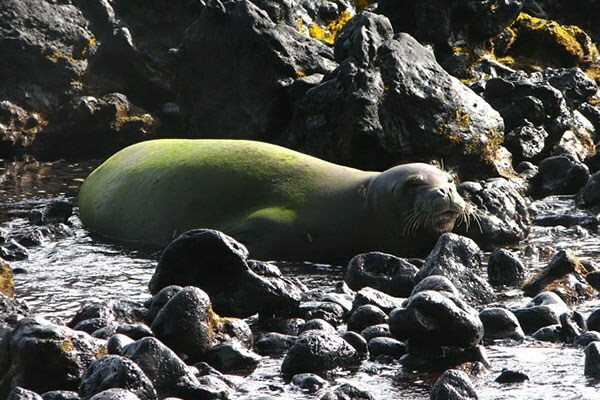 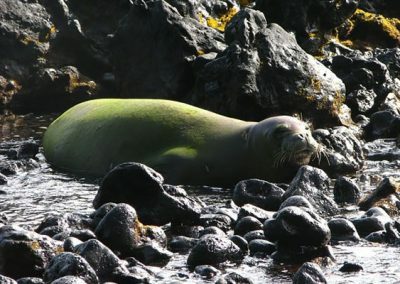 With just under 200′ of ocean frontage you are poised to experience the unparalleled beauty of the azure blue Pacific Ocean and its seasonal whales, turtles, dolphins and occasional monk seal. 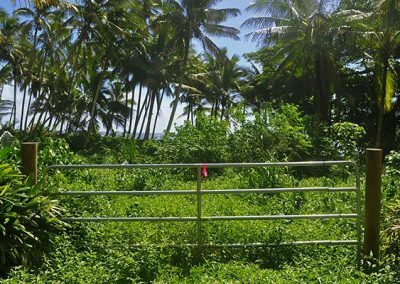 Fee Simple property, no HOA, no gated communities. 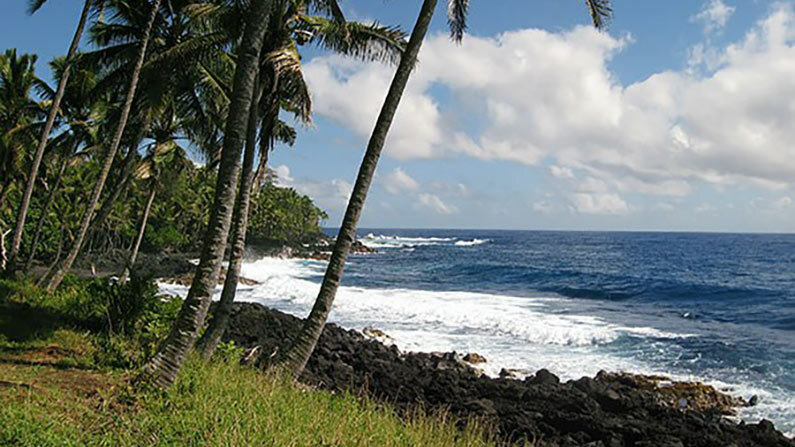 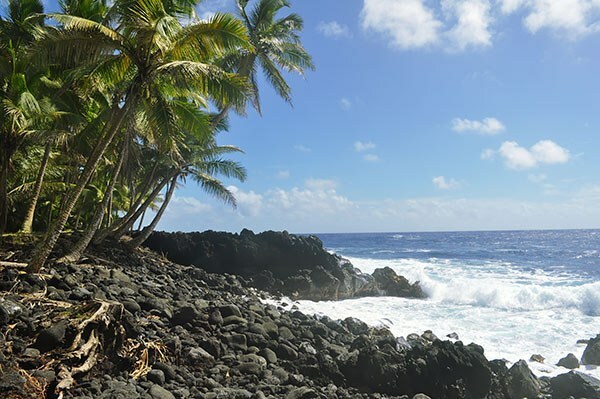 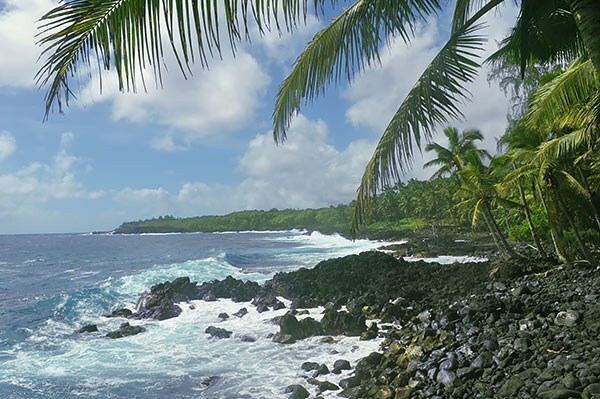 This is Old Hawaii at its best – warm, tropical, quiet and away from it all. 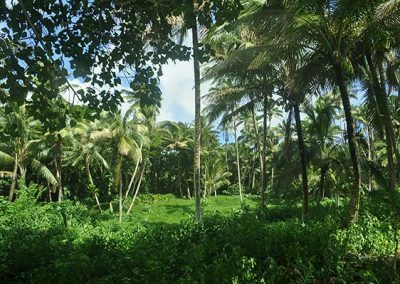 The shape of the property is excellent for allowing maximum ocean views from the elevated building site and plenty of land for tropical gardens while having enough of a setback from the road to allow for privacy and peacefulness. 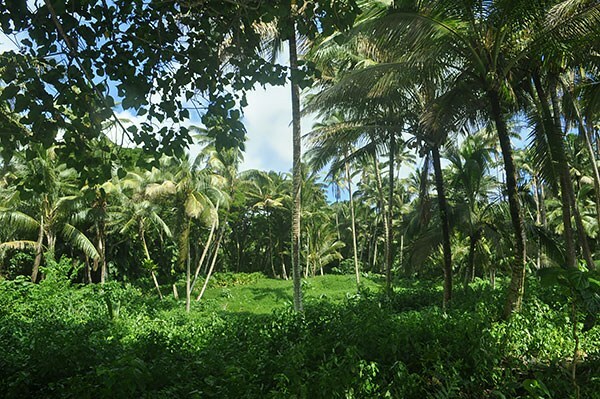 An archaeological study has been completed and the property has been groomed and is ready to build on. 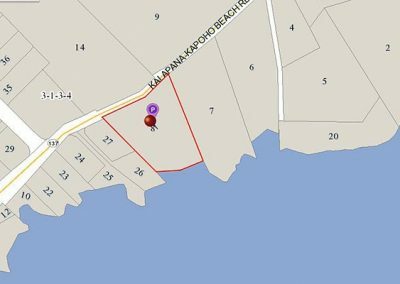 Parcel is designated SMA (special management area) and Conservation zoning with sub-zoning Resource which provides guidelines for building a single family residence. 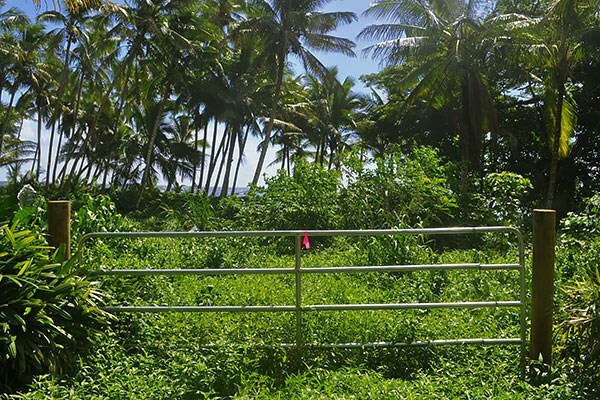 A few feet away from this property is a small beach and natural pools for dipping in. 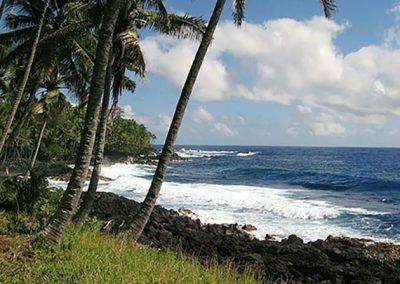 To the north of the property up HWY 137 is the famous hot ponds in Kapoho and Pohoiki with its community parks, boat ramp and surfing areas. 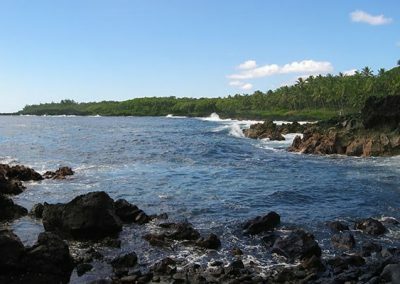 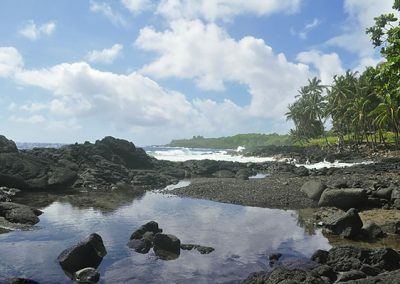 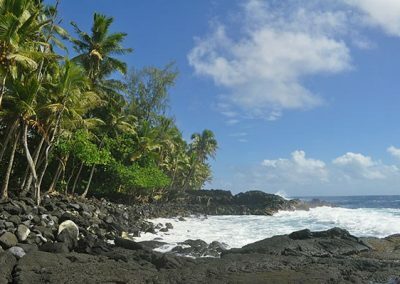 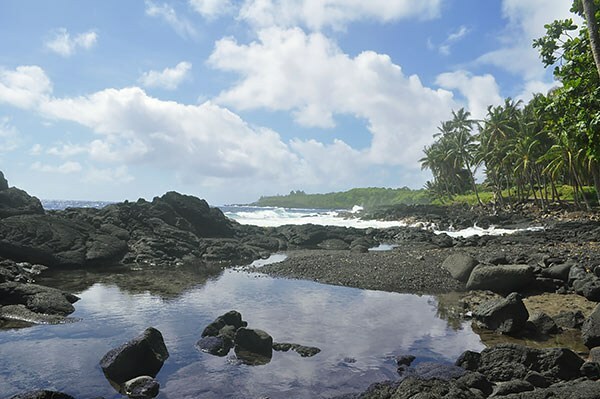 To the south is Kehena Black Sand Beach and the newly forming Kalapana Beach. Pahoa town is about a 15 minute drive where you can find shops, restaurants, groceries stores and more.